Award recipients (top row): Jovino Santos Neto, Randy Halberstadt, D’Vonne Lewis, Jacqueline Tabor, Wally Shoup. Michael Brockman. 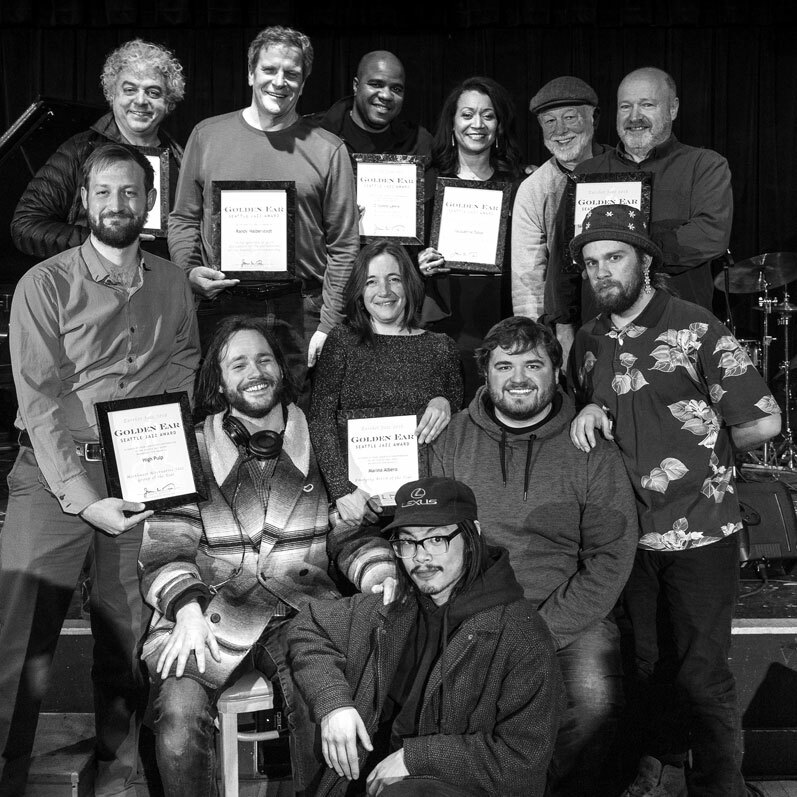 (Bottom row): Rob Homan, Andrew Morrill, Marina Albero, Victor Nguyen, Drew Pine, Rob Granfelt. Photo by Daniel Sheehan. 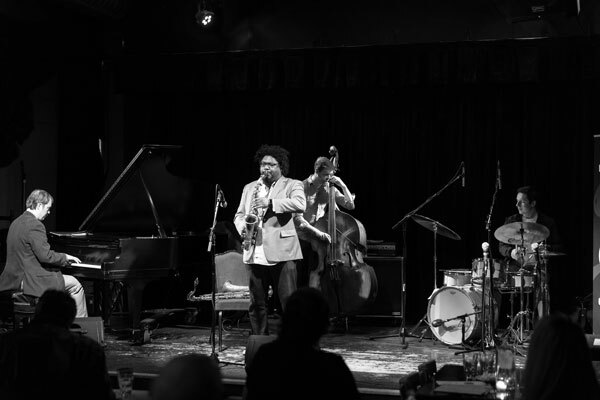 The 2018 Golden Ear Awards, celebrating the contributions and achievements in Seattle jazz, were presented at The Royal Room on March 11, 2019. 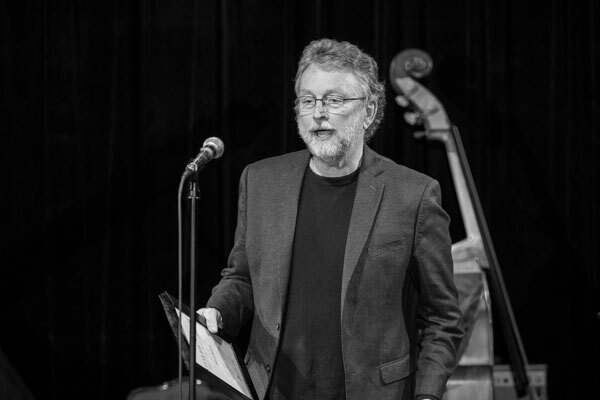 Alex Dugdale’s FADE Quartet opened the evening (Dugdale on saxophone, John Hansen on piano, Greg Feingold on bass, and Max Holmberg on drums), and jazz radio broadcaster Jim Wilke emceed the award ceremony. 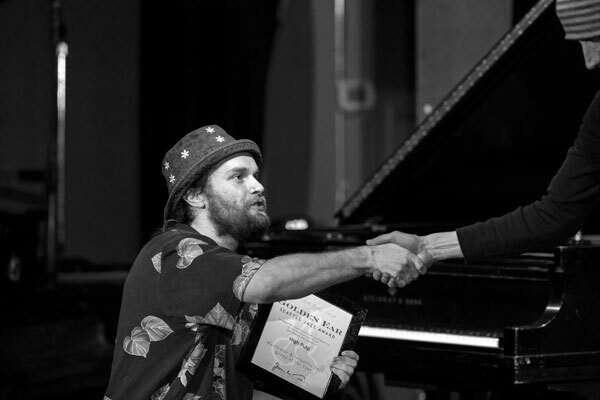 Vocalist of the Year Jacqueline Tabor presents Randy Halberstadt with a Special Award honoring his 40 years at Cornish College of the Arts and contributions as a performer and mentor to the music community. Photo by Daniel Sheehan. 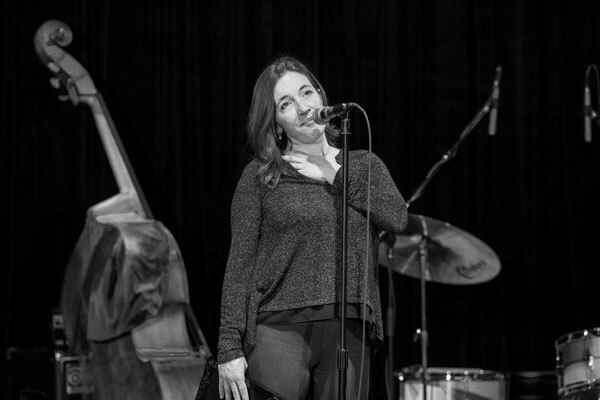 “Thank you for saying you can never be too old to emerge, and that a woman musician can have a career after 40,” said Marina Albero as she accepted the award for Emerging Artist of the Year. Photo by Daniel Sheehan. Rob Granfelt, drummer and bandleader of High Pulp, accepts the award for Northwest Alternative Jazz Group. Photo by Daniel Sheehan. “Championing this Spirit, acknowledging it, and rewarding it, benefits each and every one of us. 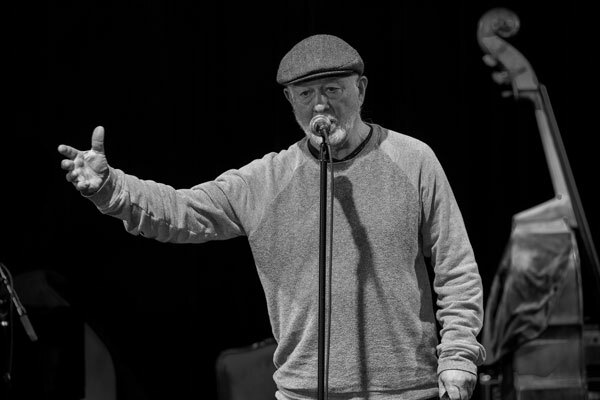 May the Spirit of improvisation keep re-vitalzing itself, and us, with each successive generation,” said Wally Shoup of his induction into the Seattle Jazz Hall of Fame. Photo by Daniel Sheehan. 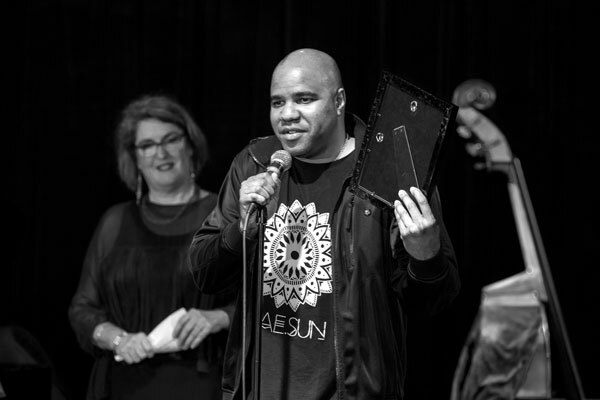 D’Vonne Lewis accepts the award for Northwest Instrumentalist of the Year, saying “This is not for only myself, but for all of you, and my son Donovan.” Photo by Daniel Sheehan. Alex Dugdale’s FADE set the vibe before and after the awards. Photo by Daniel Sheehan. Chuck Deardorf presents a special award to Studio X manager and sound engineer, Reed Ruddy. Photo by Daniel Sheehan. 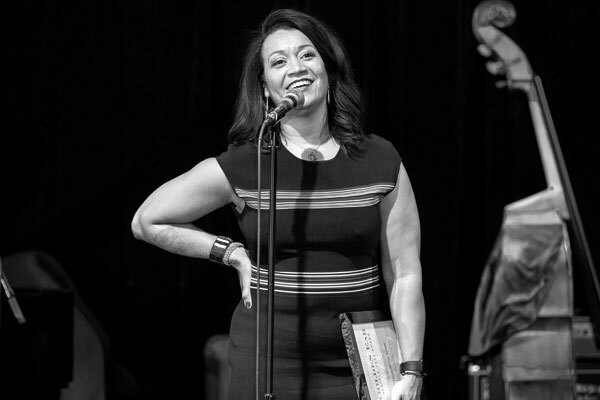 Jacqueline Tabor accepts the award for Northwest Vocalist of the Year. Photo by Daniel Sheehan. 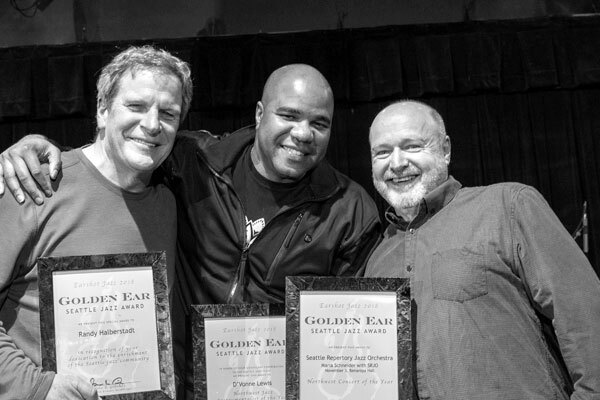 Seattle Jazz Repertory members Randy Halberstadt, D’Vonne Lewis, and Michael Brockman pose with their respective awards. 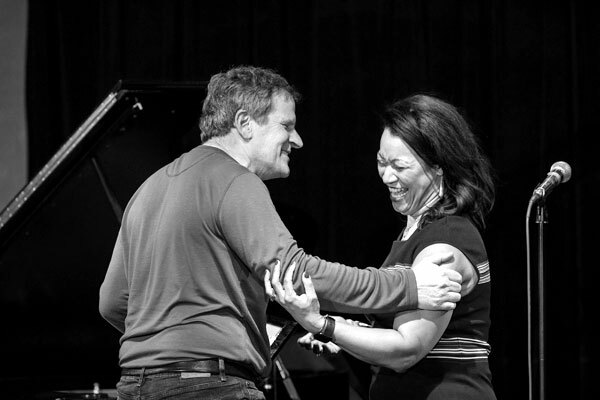 SRJO received the Northwest Concert of the Year Award for their performance with Maria Schneider on November 3 at Benaroya Hall. Photo by Daniel Sheehan.